A friar came to her village and pointed her out in a crowd. and a nation would call her blessed. Mulan knows that at her age she is expected to get married and start a family, but marrying the heartless butcher is out of the question. With her father dead and unable to fulfill his duty to the army, she decides to fight in her father's stead disguised as a boy named Mikolai. Girls can't be soldiers. Even with the comfort of the prophecy, Mulan knows no one must find out about her if she has any hope of saving her mother and home. Will she be able to keep her identity a secret? Wolfgang and his brother Steffan have been commissioned by their father, the duke of Hagenheim, to aid their Polish ally, Duke Konrad, in fighting against the Teutonic Knights who are oppressing others for their own gain. Rebellious Steffan threatens to join the Teutonic Knights, his German brothers, instead. Will Wolfgang be forced to fight his brother in battle? As allies fighting against the same enemy, Mulan and Wolfgang meet during an archery contest. Mulan is drawn to the tall, handsome soldier but tries to mask her true feelings. Wolfgang is suspicious about this boy, Mikolai, who may be a worthy archer but otherwise a poor soldier. Though he wonders if he's pretender or spy, he finds himself becoming fast friends with the feminine-looking soldier. Bonds tighten as Mulan and Wolfgang fight side by side in battle and win the respect of their fellow soldiers and even Duke Konrad himself. However, when Mulan's secret becomes impossible to keep, will Mulan and Wolfgang become foes or will they be able to forge ahead as friends fighting for all they hold dear? 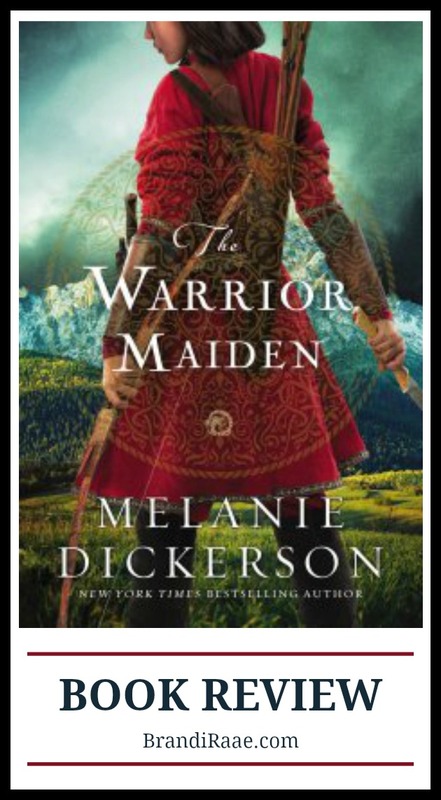 The Warrior Maiden is the ninth book in Melanie Dickerson's Hagenheim fairy tale romance series, a series I've really enjoyed reading. 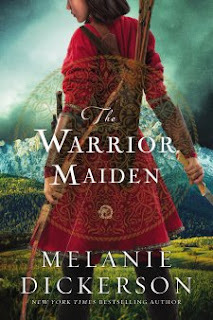 I like the medieval, Lithuanian setting and the joining of the Hagenheim family to the story of Mulan. I actually watched Mulan for the first time last year. I'm glad I did since it's kind of fun to already know the real fairy tale before I read a retelling of a fairy tale. It really wouldn't matter either way, though. Fairy tales are great no matter what! Of course, as a Christian, I appreciate the faith element and how the author weaves that aspect into the lives of these fairy tale characters. Though they're not perfect, Wolfgang and Mulan are noble and honorable characters, and I liked watching their friendship develop into something more. The book is a simple, sweet YA romance. It's clean, but there seems to be a bit more kissing in this one than in the other books in this series. The battles are exciting and the tension between Wolfgang and his brother keep the story moving along. For some reason, though, I like the first 7 books in this series better than the last two. So, that's why I am giving this book 4 starts instead of five.